"Ukraine is working very hard on all these issues in order to meet all the benchmarks." According to the member of the European Commission for Home Affairs, Dimitris Avramopoulos, Ukraine is committed to meet all the criteria required for the introduction of visa-free regime. He declared this at a briefing in Brussels, "Interfax-Ukraine" reports. "We are still working in a positive way in order to put also Ukraine in the list of countries eligible to visa waiver in the Schengen area within next months," Avramopoulos said. He also noted that sees a positive signal in the "Ukraine is working very hard on all these issues in order to meet all the benchmarks." "Surely, it is a question for some time to fulfil all these benchmarks," the EU Commissioner said answering the question on the EU-Ukraine visa-free dialogue. 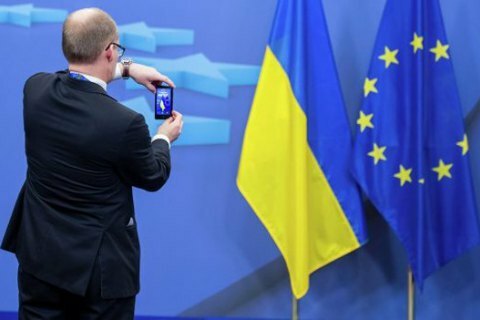 As noted before, EU representatives and Ukrainian politicians reached the compromise as to the adoption of laws required for the introduction of visa-free regime between Ukraine and EU.